Remy Millott, CEO of GYG, looks at the key facets of a strong yard-supply-chain relationship. Earlier this year, I took my management team on the road to visit a number of major new-build shipyards. The purpose of the trip was to improve our understanding of each yard’s business strategy and what they are looking for from their paint-applicator partners. Using this knowledge, our goal has been to adapt our service offering and engagement proposals to best suit their respective needs. It proved to be very interesting on many levels: it was a pleasure to meet the CEOs and leadership teams from the most prestigious superyacht yards, it was also a great opportunity to spend some focused time with my team away from the office, but most importantly it gave me plenty of time to think about what we need to do to grow our market share in the new-build sector. One of the most interesting things I learnt was the range of different approaches yards took towards supplier relationships. Leaving aside national and cultural differences, there was a real division between the ‘old-school’, project-by-project, principal-subcontractor procurement process of competitive bids right across the spectrum to the latest Supply Chain Management approach involving best-value principals and the ‘co-maker’ concept. From the supplier’s perspective, it requires a fundamentally different way of thinking to respond effectively to each of these approaches to procurement and project management. The former, more traditional approach calls for a more individual, arm’s-length approach from which we, as a sub-contractor, are required to respond to the principal’s requirements specification and project direction, with the onus on us to deliver on time and on budget to the highest quality. For a company with 40 years’ experience in fairing and finishing superyachts, these are core competencies where we excel, so no surprises there. What did surprise me was how the decision criteria of some of the procurement departments are focused on price rather than risk. Given the scale, complexity and cost of constructing a new superyacht, I feel new-build yards should be looking much more closely at the experience, management systems, operational capacity, technology and financial stability of their sub-contractors rather than judging the tenders almost entirely on price. The cost of late delivery, warranty work and the associated reputational damage soon weighs heavy against low-ball bids from inexperienced contractors. Don’t get me wrong, I am happy working on this basis, and indeed we have delivered a significant number of the 40-plus new-build yachts that Pinmar, Rolling Stock and ACA Marine have finished under this type of supplier contract. However, I feel we can deliver more value when we are involved in a longer-term collaborative relationship where we are incentivised to invest and leverage our experience, knowledge and innovation to reduce the project schedule, increase the quality and offer value-adding warranty and after-sale propositions. This is why I have evolved my thinking and preference towards the new Supplier Chain Management approach or SCM 2.0, which involves a more strategic approach to sourcing the ‘best-value’ partner rather than simply looking for the cheapest bidder. 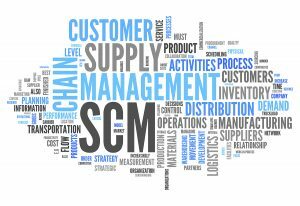 SCM 2.0 is based on the belief that the contractor is the expert in their field and should be encouraged to bring all their intelligence and skill to work in an open alliance with the other experts while the yard provides facilitation and coordination. Planning, communication, innovation and technology are key elements that are fully leveraged in an environment that encourages continuous improvement and the creation of value that can be measured in terms of speed, quality, risk and price. I am excited to work in this type of environment because it appeals to my creative instinct, and I believe this very much plays to the strength of our organisation. SCM 2.0 has been implemented in various complex construction and engineering sectors with very positive results. Not only can it produce a less conflictual relationship that inspires trust and confidence between partners, it has also been proven to significantly reduce the procurement overhead in terms of both time and cost. Provided the right contract is struck at the outset, giving both parties the incentive to continuously improve value, it simplifies the tendering and due-diligence process, leaving more time for both parties to focus on creating value rather than expending cost. Subsequent to our spring road trip, we have been in discussions with several yards about some very exciting future projects and I am hopeful we will be closing some of the deals at the Monaco Yacht Show. In the meantime, I have challenged my team to refocus their thinking on how we can deliver better value to the new-build yards. It’s clear to me that it’s not just about having the biggest capacity, the best team of project managers or painters, the latest technology or the highest-quality standard; we need to be clear how we can use these tools to reduce the time, cost and risk for the yards and how we can best support the needs of each yard while respecting their unique supplier procurement strategy.